Nick Lanza is a digital illustrator based out of the greater Boston area. Having recently graduated college with a bachelors in Graphic Design and Media Arts, Nick has been busy bringing his unique style of design to a series or reimagined pop culture characters. 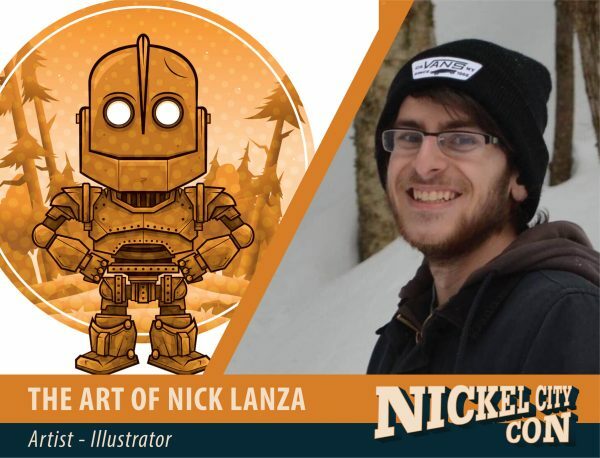 Attending comic conventions since 2018, Nick can’t wait to bring his art to more people and to meet you at Nickel City Con this year!